2017 will see Gary as Crew Chief for the seventh straight year and we'll see a slightly different focus than previous years. "We'll be investing significantly more in driver training and practice, more formal management of the team and an increased focus on sponsorship", says Gary who'll be leading the charge in terms of team direction, constant progression, and improving all aspects of the team - there will be an increased focus on measurement, metrics and analytics where we'll be looking to the experience of some of our partners. 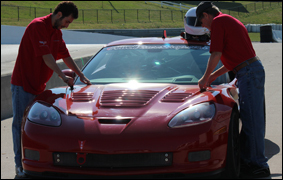 “By growing our relationships with pro teams” says Gary, “and aligning ourselves heavily with winning pro drivers from the NASCAR, Grand-Am and ALMS series, we dramatically decrease our learning curves and fast track to better results”. 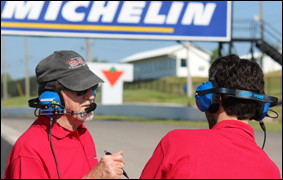 Sam will be looking for efficiences in the pits and will, once again, be focused on suspension and race car data acquisition, analysis and overall preparation. 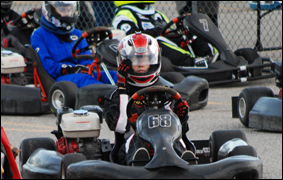 Derek Cameron will be racing for his second year in the Canadian Rookie Karting Championship (CRKC) and is looking to build upon his many successes in 2017. Bjorn Christiansen will be competing for his fifth year and is looking forward to many more podium finishes! Liesl Christiansen has her rookie year behind her and is excited to race again in the CRKC. Bjorn has enjoyed success in his years of competition behind the wheel of a kart and will continue to race karts, however, 2017 may be the year that he finds himself on a development track behind the wheel of a race car. 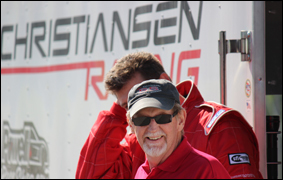 With his enthusiasm, attitude, skill and passion for motorsports, we're confident he'll have Christiansen Racing up on the podium wherever he competes! “We rely heavily on sponsorship dollars to operate and for products and services. At the end of the day it is our sponsors that make the team possible. As grateful as we are for the generosity that has affords us the opportunity to do what we love, we have to step up our efforts and bring in additional funds,” says Mark.